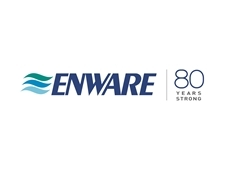 Enware Australia introduces a new range of ergonomically designed bathroom solutions for the disability and aged care sectors in Australia. 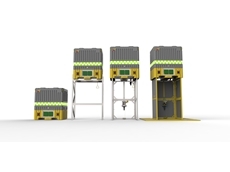 Enware Australia has partnered with leading Swedish brand IFO to supply toilets for the disability segment. Carekits from Enware Australia have been installed in new BP service stations in South Australia. 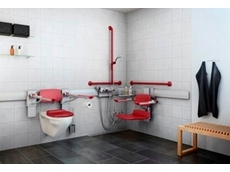 Installing wall faced toilets for the elderly or for people with disabilities can leave unsightly gaps and exposed pipework, where pans are separated from the wall to accommodate AS1428.1 requirements. A hygienic and economical way to conceal these gaps has been created by Caredesign, a division of Enware Australia. The new toilet pan infills neatly cover pipework and fill the gap between the pan and the wall. 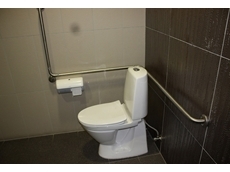 The infill section is easily installed on toilets that are positioned further forward for wheelchairs, commodes and other care equipment. “The toilet pan infills feature a strong construction,” says Mr Tim Knowles, National Product Manager of the Caredesign, a division of Enware Australia. “The visually and physically integrated infill section is a welcome alternative to time-consuming joinery detailing traditionally used, is easy to install, and eliminates the need to employ multiple trades. 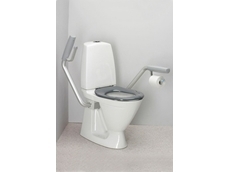 Different infill designs are available to suit various makes and models of wall faced toilet pan. 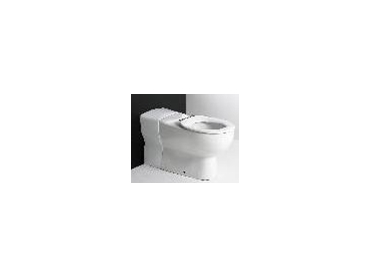 Infill CD205 matches the profile and contours of the popular Caroma Care Leda 2000 back-to-wall toilet pan neatly filling the gap left when setting the pan to meet the AS1428.1 requirements. Infill CD155, on the other hand, is built to suit the Imperial Lara Care Pan.